This earned considerable praise from intelligent readers, who were astonished by the novelty of its subject matter, but there was no lack of malicious, evil critics who attacked it with sarcastic arguments and many attempted corrections. All of these, however, were stupid or obtuse. Modest the Jesuit was not, but if Benjamin Franklin's observation that vanity is one of life's great comforts is true, then Kircher was almost always in a good mood. Kircher's cheerfulness might also have stemmed partly from his perceived indestructibility. According to his own account, he was an accident-prone dimwit in his youth. By the time he was in his thirties, he had lived through storms at sea, been washed down a river, escaped the plague, narrowly avoided trampling by horses, even survived an accidental trip through the grinding wheel of a mill. He had also, he said, survived a hernia and gangrene — maladies remedied through ardent prayer. Most foolhardy of all, he had refused to disguise himself in "worldly" clothes while traveling through Germany during the Thirty Years War. His Jesuit robes attracted the unwelcome attention of some Protestant soldiers who nearly hanged him from a tree until one of them, moved by his courage, had a change of heart. On the other hand, Kircher might have secretly hoped for eventual sainthood, and a life littered with miracles was an important prerequisite; to that end, he might have enhanced his life story. His multiple brushes with death didn't earn Kircher sainthood, but they perhaps emboldened him to study the Earth closely. Scholars who preceded him in observing volcanoes were happy to limit their writings to repeating the views of Greek and Roman scholars, but Kircher observed eruptions of Stromboli and Etna eruption firsthand, and descended into the rumbling crater of Mount Vesuvius soon after it entered a new phase of destructive activity — just seven years after the volcano claimed as many as 4,000 lives. Not by choice, he experienced a severe earthquake in southern Italy that killed perhaps 10,000 people. Kircher's fascination with Earth sciences was rewarded centuries after his death with the naming of a mineral in his honor. In August 2012, a team of Italian and American geologists dubbed a newly discovered mineral kircherite. The baby of nine children, Kircher was born on the Feast of Saint Athanasius (May 2) in 1601 or 1602, to a pious but scholarly family. He later recounted that, at the age of 15, he chose the Society of Jesus over other religious orders because the Jesuits were most likely to develop his intellectual talents — a recollection somewhat at odds with his description of his young self as an accident-prone dimwit. His father, a sometime magistrate and mayor, was independent-minded enough to have a rabbi teach the boy Hebrew, and the young Kircher remained fascinated by languages all his life. Kircher first joined the Jesuits in his native Germany about the time that the Thirty Years War started. He wound up in the Jesuit college in Würzburg, which was "dissolved within 24 hours of unbelievable confusion" ahead of a Protestant army advance. From there, he was ordered to Vienna, but the journey proved problematic. The plan was to sail along the Mediterranean coast before starting an overland journey, but the Jesuits made the mistake of paying a ship captain in full at the start of the trip. He abandoned the passengers on a small island just several miles from where they started out, and they had to pool their money to purchase rescue from a passing fisherman who took them back to port. The next trip featured violently stormy seas. When Kircher finally reached Rome, which he had planned to visit en route to Vienna, he discovered his assignment had been changed. He was wanted in Rome. 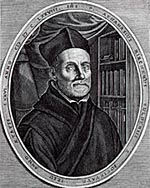 At first, Kircher devoted his time to Cardinal Francesco Barberini (cousin to the pope) but after Barberini lost interest in the priest's intellectual pursuits, he was assigned to the chair of mathematics at the Collegio Romano where he started building an impressive curiosity cabinet, the Kircherianum. The Kircherianum's first home was in Kircher's own quarters, but it was later moved to a more elaborate gallery. He crowed that nobody who had missed his museum had truly seen the great city. Although cheerless Protestants in northern Europe often thought of Rome as Babylon, most visitors saw it as caput mundi or "the head of the world." But not everyone who wanted to visit Kircher's collection actually could. Hopeful visitors often arrived with letters of recommendation from influential friends, and Kircher and his assistants looked over the letters (and perhaps the prospective visitors) to decide who merited admission. The museum became such a hotspot for European nobility that Kircher complained about having time for almost nothing else, not even his daily prayers. The collection was so big that documenting its goodies would continue for decades after Kircher's death. Kircher was called to the ancient city soon after Galileo's trial — in a large part because the Jesuits wanted someone in their camp whose flamboyance rivaled the famous astronomer's. Like a lot of bright scholars of the time, Kircher probably quietly believed Galileo was right, though he didn't dare say so in the proximity of Pope Urban VIII. These were dangerous times, when getting books printed not only required an imprimatur (permission to print the book) and the approval of Jesuit censors (who, in his case, didn't criticize his subject matter so much as his propensity for bragging) but also the patronage of someone wealthy enough to pay for the typesetting and engraving of illustrations — and the protection of someone powerful if the book ruffled feathers. Kircher navigated this tricky terrain skillfully, sometimes switching allegiances to better-positioned patrons. While visiting Malta, Kircher befriended a cleric named Fabio Chigi, who later became Pope Alexander VII. In later years, Alexander VII, who devoted his life to reconciling the differences between Catholic and Protestant faiths, arranged to have Kircher's books published by Protestants in Amsterdam. Kircher followed the same ecumenical philosophy, collaborating with Catholics and Protestants alike. Over the years, the polymath enjoyed the patronage of four popes, two Habsburg emperors, and many German and Italian princes, although he maintained that even the nicest Protestants were likely headed for hell. Besides teaching mathematics in Rome, Kircher was also charged with interpreting Egyptian hieroglyphs. Unfortunately, the Rosetta Stone's discovery was more than a century away, and without that artifact, deciphering ancient Egyptian writing was all but impossible. Kircher did realize, however, that Coptic, the language of Egyptian Christians, was a crucial key. Blissfully ignorant of what they didn't yet know, Kircher and his colleagues believed he was perfectly positioned for hieroglyph decipherment, and he was well versed in more than 20 languages, both living and dead. He considered Egypt — not Greece — the true source of Western learning. Kircher was a follower of the "hermetic tradition," based on the writings of a figure known as Hermes Trismegistus. Thought to be a contemporary of Moses, perhaps Moses himself, Hermes was said to deliver divine knowledge to mankind, maybe even foretell Christianity. Bits of his work were "known" during the Middle Ages, but he enjoyed a renaissance during the actual Renaissance. Hermes's prestige rather rubbed off on all of Egyptian artifacts, so many of Kircher's contemporaries believed that in deciphering hieroglyphs, he would uncover the original language God gave to Adam, and thus reveal all the world's secrets. Part of the reasoning was that if the Tower of Babel had confused languages, everybody must have spoken the same language beforehand. Supramundane Osiris, concealed in the center of eternity, flows down into the world of the Genies, which is the most near, similar, and immediately subject to him. He flows down into the divinity Osiris of the sensible World, and its soul, which is the Sun. He flows down into the Osiris of the elemental World, Apis, beneficent Agathodemon, who distributes the power imparted by Osiris to all the members of the lower world. His minister and faithful attendant, the polymorphous Spirit, shows the abundance and wealth of all necessary things . . .
Kircher was no more successful interpreting ancient Etruscan — a language still not fully understood today. In promoting Etruscan Journey , a book he never managed to publish, he visited Florence, repeatedly wrote notable members of the Medici family, and even argued that ancient Tuscany had been founded by Noah. Though some pursuits were wasted efforts, the Jesuits pursued valuable knowledge. They ran what was probably the most sophisticated network of information exchange in the world, and Kircher used it effectively. While Jesuits in China anxiously awaited his writings about Egypt and America, readers ranging from London to the New World looked for his China Illustrata . In all, Kircher published almost 40 treatises during his lifetime, relying on more than 30 illustrators. He wrote about the cosmos (calling his book science fiction so he could support the Copernican system and suggest an infinite universe with relative safety) and magnetism (which he defined as all invisible forces). The geographically astute Jesuit even recommended a canal linking the Red Sea and Dead Sea, an idea that has been occasionally revived even into the 21st century. He also penned Mundus Subterraneus about the subterranean world. His two volumes of Mundus Subterraneus meandered over an amazing variety of subjects: herbs, astrology, mining, dragons, demons, giants, subterranean men, poisons, antidotes, weather, eclipses, fireworks, fossils, figured stones, corals, gravity, the sun and moon, and bioluminescence, among other topics. 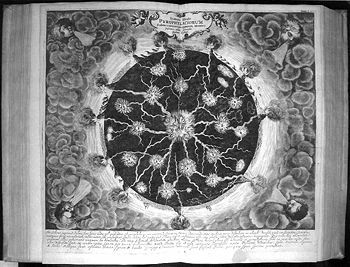 Kircher focused Volume I of Mundus Subterraneus on "the admirable structure of the terrestrial globe," and dedicated it to Pope Alexander VII. He focused Volume II on how humans could make the most of the planet's bounty, and dedicated it to Holy Roman Emperor Leopold I. On the topic of bioluminescence, Kircher was among the first to treat the topic in detail, and he relayed the results of his experiments with fireflies, noting that they dimmed after handling, and brightened after being left alone. He supposed, correctly, that the bugs flickered to communicate. Although he wrote often about fossils, Kircher is remembered in a large part for misunderstanding their origins. In his defense, he studied them at a time when a fossil could be anything dug up from the ground, so it's not ironic that he proposed multiple hypotheses for their origins. Some he attributed to "lapidifying juices" looking for something to emulate. This force was, he explained, active since the beginning. [I]n the beginning, God, the founder of all things, created from nothing a certain matter that we rightly call "chaotic." For the glorious God created everything at the same time. . . . Since the divine Architect created nothing de novo except this matter and the human soul, it is evident from the very text of the holy page that God then drew forth from this single chaotic matter, as from matter subject to and already made fertile by the incubation of the divine spirit, all things, both the heavens and the elements, and from these latter drew forth, by the power of His almighty voice alone, the species of both plants and animals . . . All beings could then propagate themselves thanks to a seminal power given to them in everlasting generation. . . . I say that a certain material spiritus was composed from the subtlest [part] of the celestial breath or from the portion of the elements and that a certain spirituous salino-sulfuro-mercurial vapor, a universal seed of things, was created along with the elements by God as the origin of all things, which were established in the world of corporeal entities. 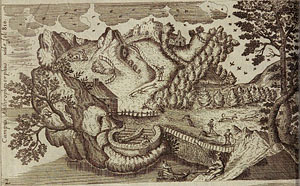 In Kircher's view, the "salino-sulfuro-mercurial vapor" was key. He may have been influenced by the alchemical lore of the time, namely that one could make an awful lot of things by combining chunky yellow sulfur and slippery silver mercury. On the whole, however, Kircher disdained alchemy — at about the same time that Isaac Newton embraced it. I will not speak here of the innumerable oysters, clams, snails, fungi, algae and other denizens of the sea that have been converted to stone, because these are obviously found everywhere in such a state, and hardly merit any mention. Kircher also doubted the common belief that Roman and Greek alphabets often miraculously appeared in stone. By drying clay, he produced many "letters" — composed mostly of straight lines caused by simple cracking. A man of his time all the same, Kircher published a detailed treatise on Noah's Ark, including a floor plan, a list of animals taken onboard, and the precise size of a cubit. When Kircher put together this work, explaining the Ark's seaworthiness had grown more challenging; the discovery of the New World presented many more passengers that would have needed accommodation. 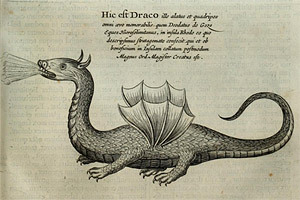 Kircher nimbly worked around some of the concern by explaining — as many believed at the time — that many modern animals were actually hybrids. A giraffe, for instance, he characterized as a camel-leopard mix. The armadillo, a rare example of which sat in his museum, might be the progeny of a turtle and a hedgehog or porcupine. In other words, the biblical instruction to grow and multiply applied to animals as well as people. Perhaps more forward-thinking, he said animals might have changed after the Flood by adapting to new environments. He explained differences between American bison (which couldn't have been Ark passengers) and European bison (which could) by saying the American versions might have been changed "because of the nature of both place and climate" and argued that this had been the case for nearly all New World animals. In other words, the divine directive to "grow and multiply" applied to species as well as individuals. To explain "lowly" animals, which had been excluded from the Ark, he relied on spontaneous generation, such as insects sprouting from animal dung (he even published recipes). Francesco Redi, a contemporary of Kircher's, challenged the notion of spontaneous generation with some well-controlled experiments. Redi showed that when flies had no access to rotting meat, maggots failed to materialize. The experiment didn't settle the matter as firmly as a modern reader might expect, though, and Redi himself said some insects like the oak gall wasp might arise from vegetation. The meaty experiments were not the only time Redi would challenge Kircher's ideas; the men also disagreed about the effectiveness of snakestones — believed to be extracted from the heads of venomous snakes, and to protect from poison. Kircher generally favored their use and Redi generally opposed it. Redi published an open letter to Kircher debunking the effectiveness of snakestones. Kircher tried to publish a response but the Jesuits intervened and stopped publication, perhaps wanting to spare the aging priest (and themselves) further embarrassment. So Kircher enlisted a young lawyer to write a snakestone defense on his behalf. Although arguably the better experimenter, Redi had other motives for opposing Kircher, including protecting the business interests of the Medici (his own patrons) who sold their own antidotes. And Redi certainly didn't want Kircher's competition for Medici sponsorship. Kircher basically let Redi have the Medici, and focused on other patrons. Kircher's questionable notions didn't end with spontaneous generation and snakestones. He evidently believed in unicorns and griffins. He believed ideas that had circulated since medieval times about mountain ranges concealing networks of rivers and streams that were themselves linked with the world's ocean, the water occasionally forced underground by winds. He contended that water entered the globe through a giant whirlpool off the Norwegian coast (in fact, a big whirlpool system does exist in that region) and exited around the South Pole. He argued that subterranean sulfurous spirits seeded volcanoes. Whether or not he believed such a phenomenon (manmade or natural) was possible, he depicted a landscape resembling a human profile, starting a 17th-century trend. He thought mulberry trees could grow silkworms starting from the eggs of any other kind of bug. And according to science historian Paula Findlen, he was "perhaps the last naturalist to believe passionately in the reality of any papal dragon he saw." Findlen has also characterized Kircher's prose as "some of the most rebarbative, unreliable, undigested and polyglot the world has ever known, bursting at the seams with learning, overflowing with ideas and possibilities, and pointing confusingly in many different directions." He wasn't just good at being eccentric, he was good at catering to the public's eccentric, medieval tastes in the age of the Scientific Revolution. Yet Kircher rejected many beliefs common to the times. While others pondered the existence of giants, he wondered where they could have found enough room to live and enough food to eat. (At the same time, rejecting the existence of giants was necessary to uphold the myth of a biblical flood; Noah and his family couldn't be giants, as some biblical passages implied, without sinking the Ark.) He criticized virtuoso Giambattista Della Porta for promoting belief in magic. He calculated that the height required for the Tower of Babel merely to reach the moon would catapult the Earth out of its orbit — an interesting assertion considering, after Galileo's trial, Kircher wasn't supposed to talk about the Earth even having an orbit. He denied the existence of winged tortoises, flying cats and birds emerging from flowers (though he did write about a fish that turned into a bird each summer). He disliked miracles on the principle that nature was miraculous enough when it played by the rules. Beyond rejecting some wrong notions, he advanced some pretty good ones. When diminutive crosses began appearing on Neapolitans' clothing after an eruption at Vesuvius, he posed a better explanation than miracle or prodigy: rock-forming minerals were combining with volcanic ash, then fitting into the natural weave of the locals' clothes. He concluded that the Earth couldn't have simply been "pressed together from clay and mud after the Flood, hardly different from some lump of cheese." In studying volcanoes, he noted that they could release more molten lava than a single volcanic mountain could contain, and must tap activity deep underground. He realized that volcanic could activity could both destroy and build mountains. Some of his ideas about volcanism survived into the 20th century, and he was arguably the first to depict the Pacific "Ring of Fire" on a world map. If many of Kircher's hypotheses were wrong, and even if he lacked the rigorous approach of modern science, he delighted in his intellectual pursuits. Visitors to the Kircherianum sipped tasty liquids provided by mechanical barfing crustaceans and heard his disembodied voice, fed to them through a hidden metal tube he spoke through from his bedroom. He engineered megaphones that one of his buddies used to bray at wolves and start their howling. He once tricked the minister of his abbey into desperately searching for an organ that didn't exist; what the minister really heard was Kircher's aeolian harp played by the wind. He launched dragon-shaped hot-air balloons with "Flee the wrath of God" painted on their underbellies. He dressed up cats in cherub wings, to the mild amusement of onlookers, and the great annoyance of the cats. (Perhaps cats did well to avoid Kircher altogether. He has long been linked to a cat piano said to harmonize differently pitched meows by sticking pins in the poor creatures' tails, something that "might cause the very mice to jump for joy." But there's little evidence that he actually built the instrument.) He demonstrated volcanic eruptions on a tiny scale using candles and waxed paper. He championed, but probably didn't invent, the magic lantern, the forerunner of modern slide projectors and even movie theaters. He designed a "miraculous book" — maybe one of the world's earliest pop-up books — which should surely cement his status as the "coolest guy ever." If you examine the powder of rotten wood under the Smicroscopium, an immense pullulation of little worms will be found, of which some are outfitted with little horns, some have wings of a sort, others are not unlike centipedes, and you will see eyes like little black dots along with noses . . . Because they themselves have been placed in the world with bodies so tiny that they are beyond the reach of the senses, how tiny can their little hearts be? How tiny must their little livers be, or their little stomachs, their cartilage and little nerves, their means of locomotion? Kircher's microscope studies hinted at what would be shown more clearly by Robert Hooke and Antoni Leeuwenhoek: the microscope reveals a whole world of living things very different from what anybody expected. Beyond his efforts to combat the plague and his curiosity cabinet, Kircher had other impacts on Rome. 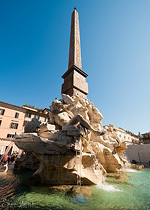 One of his many collaborations was with the sculptor and Baroque architect Gian Lorenzo Bernini on the Fountain of Four Rivers in the Piazza Navona. Kircher was to provide "expert" knowledge on some of the animals featured in the fountain, and to help erect the obelisk. A popular spot with tourists today, the fountain was less beloved at the time. Its construction was funded by taxes on bread and wine. To ease the blow of the hated taxes, the Jesuits distributed loaves of bread at the statue's unveiling but still had to keep an eye out for rage-fueled rubbish dumped into the fountain. And, like Hermes Trismegistus, the prized obelisk turned out to be a bit of an imposter; it was a Roman imitation, and about 1,500 years younger than Kircher estimated. Years later, in late November 1680, the sculptor and the priest both breathed their last. Bernini's funeral overshadowed Kircher's, something that likely would have bothered the old priest. As a young man, Kircher's dark coloring had sometimes been attributed to an excess of black bile, meaning he was melancholic. That was taken to mean that he was pensive and cerebral. What history has preserved of Kircher suggests that this self-described "master of a hundred arts" was mostly cheerful and very confident, but he likely found his final years trying. His aches and pains grew, and the ranks of his critics swelled. Contemporaries occasionally pranked him with fake manuscripts that he naively interpreted. He lost influence with the Jesuits, who kicked his beloved Kircherianum out of the prestigious gallery and into smaller, harder-to-find quarters. One colleague blamed Kircher's age for his increasing irritability, and noted his "tendency to become suspicious." By the spring of 1680, Kircher entered what a fellow Jesuit characterized as his "second childhood," which lasted until his death in November. His remains were buried at Il Gesú near the Collegio Romano, except for his heart. He instructed that it should be buried at Mentorella, an old church in a mountainous region outside Rome, a building he had spent years restoring. His collection was largely disassembled and lost after his death, and his reputation declined further. But like the church at Mentorella and the Fountain of Four Rivers, his writings and his insights survived. "Contributions to the History of Geological Sciences: Illustrations of the Kircher Museum Naturalistic Collections" by Bruno Accordi in Geol. Rom.